There’s a lot of things we see in movies and wish were true. Luckily we live in a time where a lot of things are possible. The amount of progress that’s happened in the last 30-50 years is astounding. We went from not having cell-phones at all to having smartphones. Instead of sending letters by post we now send emails. We don’t really print photos anymore, it’s all digital now. It’s pretty amazing to see what we as a species are capable of creating. It seems like it’s enough for us to just wish something existed and in a couple of years it will. So let’s take a look at some of the hi-tech gadgets we all dream about. Some of these are inspired by sci-fi and fantasy films, others are simply concepts based on the things we already have, but improved. Ever since the movie came out, a lot of people wanted to have a watch like that. 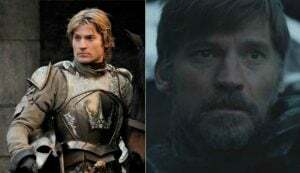 The Internet was full of concept art and we were all patiently waiting for someone to manufacture it and make this fantasy watch for real. The time has come and there’s actually a watch like this on sale. Functionally, it’s not exactly like in the movie, but hey, it looks kind of cool, right? Basically it’s a regular watch with LED lights in it. The gaps in the light point at the time, just like a regular watch. It’s available in 3 colours and you can buy it here. Remember those days when the Apple Watch was just a rumor? 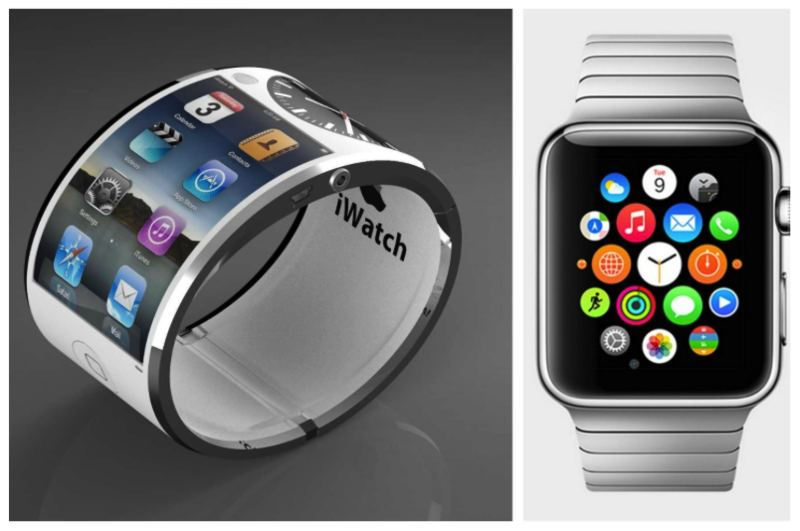 Everyone was trying to figure out what will Apple do next and what will their watch look like. Will it be like a circular bracelet screen? What features will it have? Now, looking back all those concept pictures look a bit ridiculous don’t they? More like something out of a movie than a real gadget. But hey, the Apple watch is here and it’s awesome. I think Apple delivered just the right amount of functionality with style. 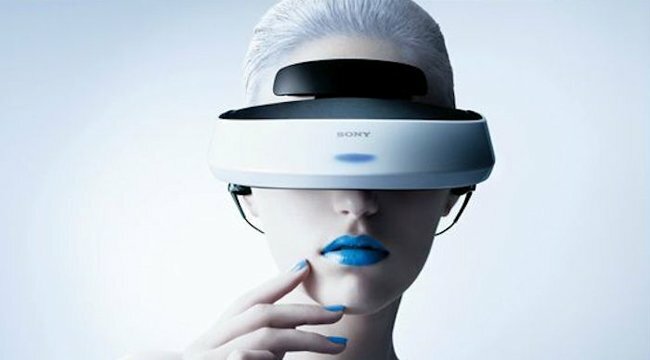 Just a couple of years ago virtual headsets were merely a concept. A dream of millions of gamers. Now this dream has come true. A whole bunch of different companies are coming out with virtual reality headsets and it’s just a question of time before all of us get ourselves a set. The world of gaming is becoming more and more awesome and now, with virtual reality headsets, you can pretty much enjoy it as if you’re actually there, in the game. Every single time a big company is about to unveil their new smartphone, there’s rumors that it will be transparent, super thin, flexible etc. That’s the case with HTC, iPhones, Samsungs and all sorts of companies. Even though they make no claims like that at all, people still like to let their imagination run wild. 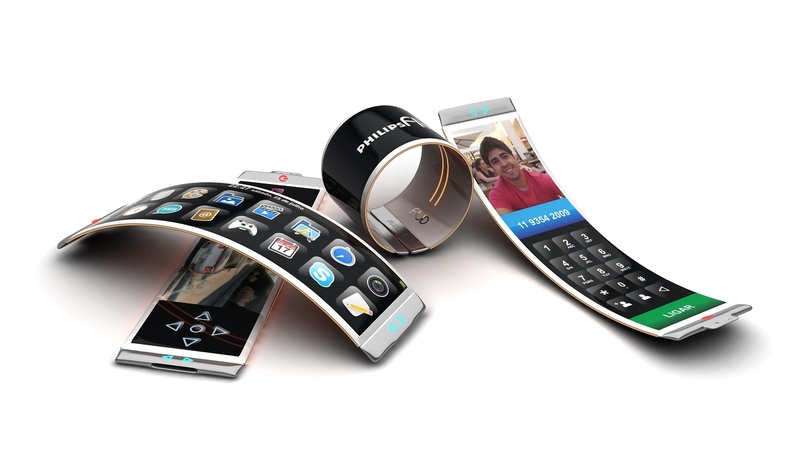 There’s a lot of talk about Samsung promising a flexible phone. This time it looks like it might actually happen. There have even been video presentations of prototypes. A weather responsive smartphone is an interesting concept. But that’s all it is so far, just a concept. 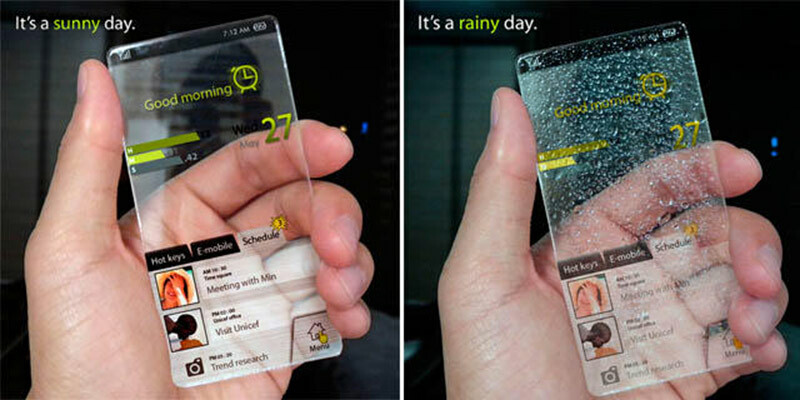 The idea is that the phone would be completely transparent and pretty much act as a window. It would be able to determine the weather outside and illustrate it accurately. For example if it’s sunny outside it would stay clear and transparent, if it rains outside, little raindrop illustrations would appear on the screen, like raindrops on windows. This concept certainly looks cool, but, in my opinion, it’s not really a necessary feature. Why would you need that when there’s already an app for weather? iRing would be the smallest touchscreen gadget to date, if it were to be made. Will it ever be made? Currently, there’s no way of knowing. 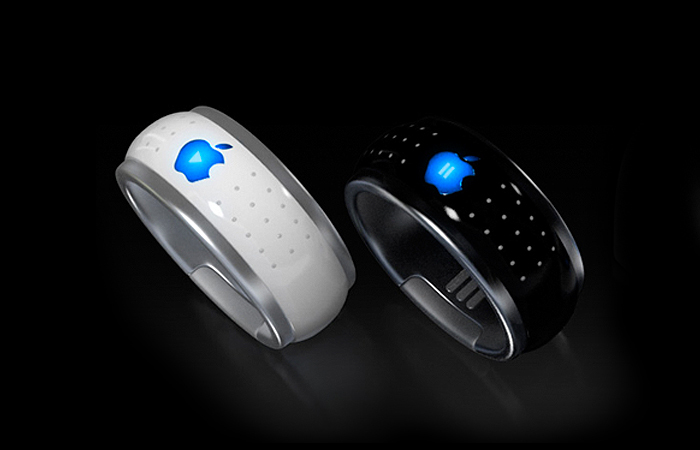 Tabloids are making a lot of noise about iRing, saying that Apple, apparently patented the idea. Does that really mean anything? Does it mean they’re really making one or is it just a precautionary measure, just to make sure no one else can make one? Let’s be honest, we don’t know. 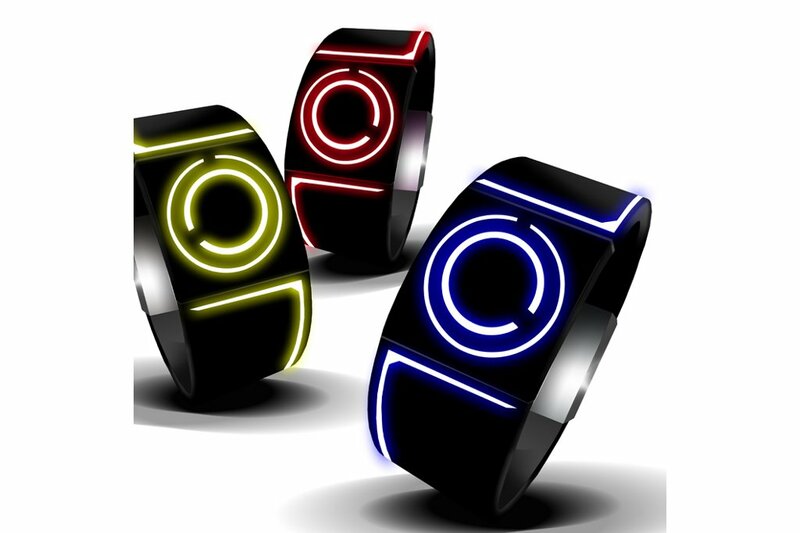 But according to rumors the iRing would be able to take pictures, text and tell time. It’s also rumored to have a touch screen that will have apps, which you’ll be able to access with your thumb. It sounds uncomfortable and I see no use in such a gadget. Seems like something out of a spy movie. 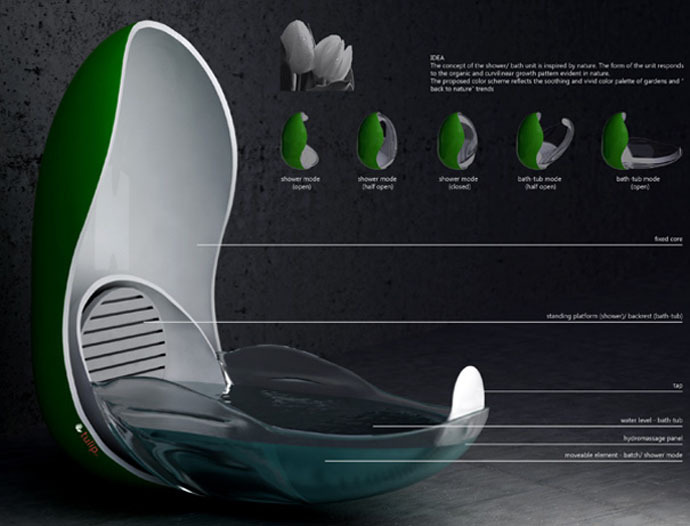 The Tulip Bath/Shower concept actually sounds like a very cool and smart idea for small living spaces. The idea is quite simple. It’s a shower pod that unfolds and can be transformed into a bath for those times when you really want to chill and take a bath. It’s not a secret that a lot of cities are overpopulated and extra space costs money. A lot of apartments already don’t have baths, and instead just have showers to save on space and minimize water wasting. A tulip shower/bath would be a great solution for those who prefer showers, wanting to save on space, yet still have the option to have a luxury of a bath once in a while.